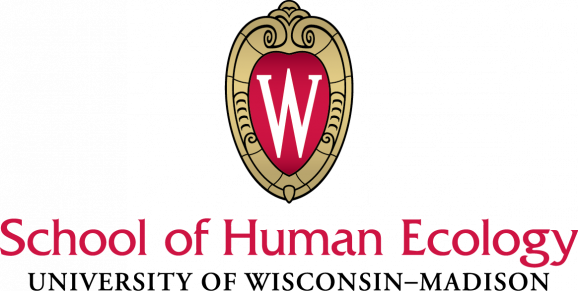 The Department of Human Development and Family Studies in the School of Human Ecology (SoHE), University of Wisconsin-Madison invites applicants for a tenured/tenure-track, open-ranked position, whose interests are in the areas of reducing racial and socioeconomic disparities in child and family health and well-being. We seek candidates with active or promising research agendas (early or mid-career position) or established research records with an extramural grant record (senior position) with a desire to work across the early lifespan and/or commitment to collaboration across the lifespan. The successful candidate will contribute to the School of Human Ecology and the HDFS department mission: "To improve the quality of life by discovering, integrating, applying, and disseminating knowledge about lifespan human development, relationships, families, and communities, all in their larger social contexts." We encourage candidates who work across the lifespan, but preference will be given to applicants who can contribute to the Center for Child and Family Well-Being, either by ectly engaging in scholarship and grant-seeking related to the early lifespan or through a commitment to collaborating with early lifespan researchers on high-quality, interdisciplinary projects (e.g., two generation interventions, couple relationships and coparenting). The specific focus is open, and we are broadly interested in candidates whose interests are in the areas of reducing racial and socioeconomic disparities in child and family health and well-being, individual and family resilience, parenting, maternal and infant health, immigration, fathering, family policy, family and al care, coparenting and couple relationships, or early education. We are especially interested in scholars with expertise in intersectionality, critical race theories, or other critical or social justice frameworks. Successful candidates will engage in applied or basic scholarship using any of a variety of methodological approaches (e.g., quantitative, qualitative, community-based participatory research), and will seek to develop an extramurally-funded research program. Applicants with a history of successfully mentoring students from underrepresented groups are encouraged to include details in their cover letter. This faculty position is housed in the School of Human Ecology within the Department of Human Development and Family Studies. The position carries a commitment to the three functions of UW faculty: undergraduate and graduate teaching, research, and outreach/service as is appropriate to position and rank. Years of experience will be commensurate with the rank sought. All candidates must have proven success in conducting research and teaching appropriate to their stage of career. Associate/Full Professor candidates must possess experience and scholarly credentials for appointment with tenure at UW-Madison. A key consideration is the ability to lead a research program that attracts external funding individually and/or through active laboration, actively engages students, and produces high-impact scholarship. Please include a C.V., a detailed cover letter addressing your relevant background for and interest in the position (http://jobs.hr.wisc.edu/cw/en-us/job/499128/assistant-associate-or-full-professor). In addition, you will be asked to provide the names and contact information of three references willing to be contacted for letters of recommendation at a later date within the application system. At a future date you may be asked to upload other application materials. The deadline for assuring full consideration is October 22, 2018, however the positions will remain open and applications may be considered until the position is filled.